For additional information about this book, visit the website roberttkscully.com. 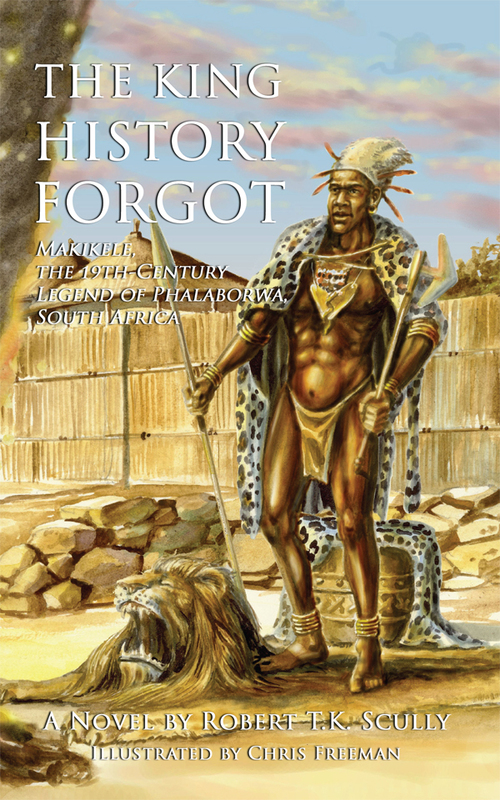 This is the story of Makikele Malatji, the 19th century ruler of South Africa’s legendary copper-rich Phalaborwa region. Never before documented, Makikele’s story describes a powerful metal producing and ivory trading kingdom based in a fortified cluster of villages centered around the royal family's carefully guarded copper and iron ore deposit and sacred burial hill..
Tribal oral traditions handed down to modern time describe this Makikele as a powerful sorcerer-king defending his domain against repeated onslaughts of would-be invaders during the disruptive period known as the Difikane. It was a time when Zulu, Swazi, Tsonga and other neighboring tribes and European settlers fought in the rich, highland grasslands surrounding Phalaborwa. The novel tells of a truly cunning and feared heroic figure, a man very much the equal to surrounding tribal rulers and war lords lionized in South African history books. Robert T.K. Scully was born and educated in New York State where he earned a Ph.D. in Anthropology at Binghamton University. He served in the U.S. Peace Corps in western Kenya and conducted ethnographic research in Phalaborwa, South Africa. Retired from the international health field and university administration, Scully has written stories, poetry, and both popular and scholarly articles about his travels and work in Africa, the Middle East, India and the Americas. He and his wife, Jennifer, now reside in Sandy Springs, Georgia. This is his first historical novel.